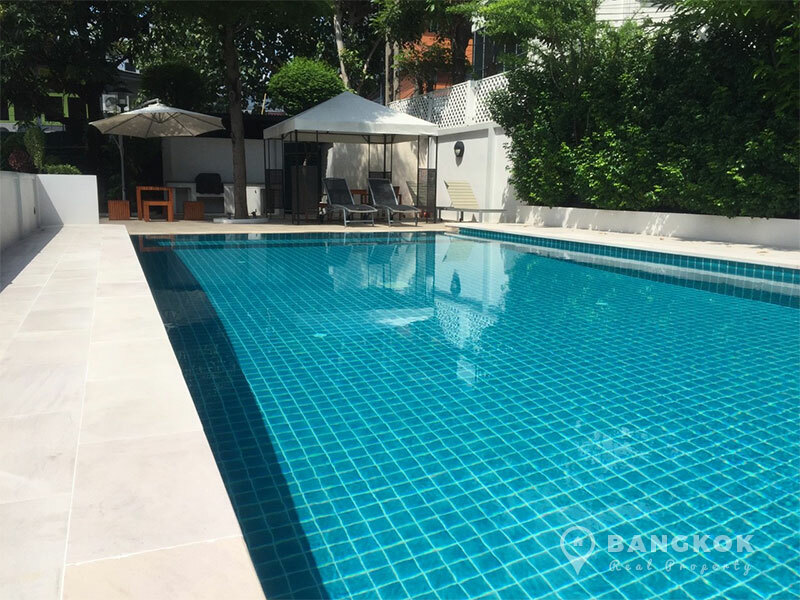 A spacious, bright, semi-detached house for rent in Ekamai is now available superbly located in this prestigious Bangkok district within walking distance of Ekkamai BTS. 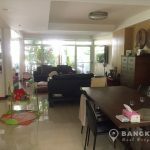 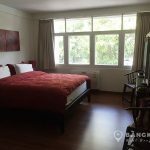 The house is close to many local amenities including the Big C Center, Gateway Mall, Major Cineplex, Health Land Ekkamai, Samtivej Sukhumvit Hospital and for golfers Wilding Golf. 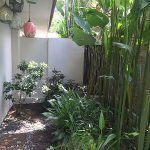 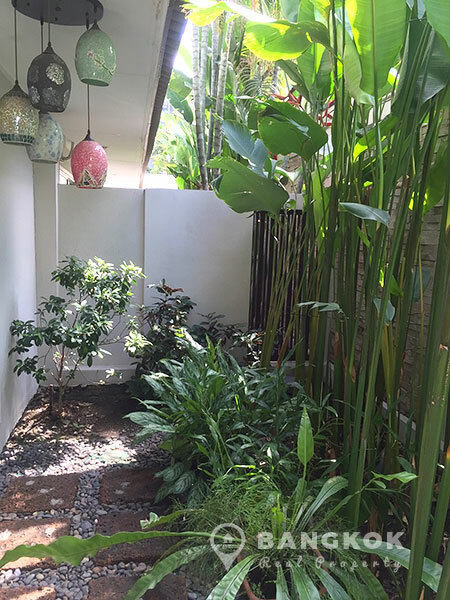 This house for rent in Ekamai is situated in a small secure compound and has use of a beautiful swimming pool with sunbathing deck and lush garden areas. 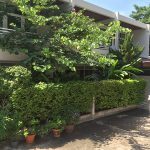 The house is 2 storey (2 levels) and has 230 sq.m if living space with a small garden area (yard). 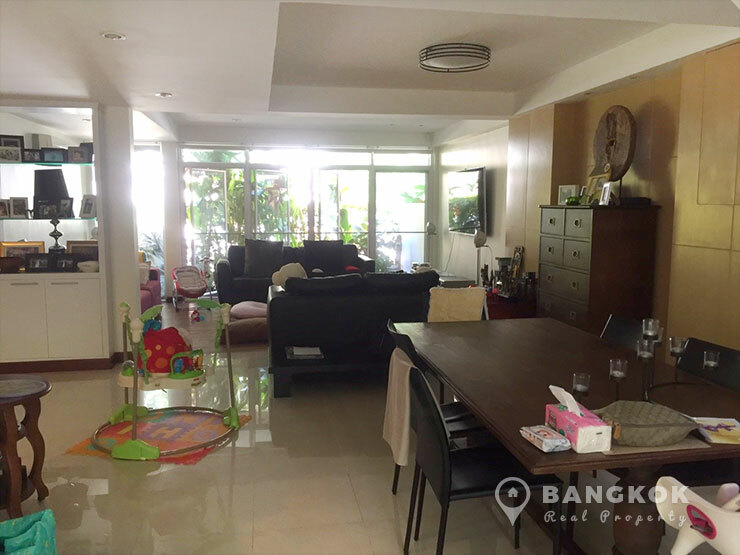 The bright livingroom – dining area has ceramic tiled floors, the modern kitchen is separate with built in gas hob (stove), extractor fan (hood) and electric oven, dishwasher, washing machine and fridge-freezer. 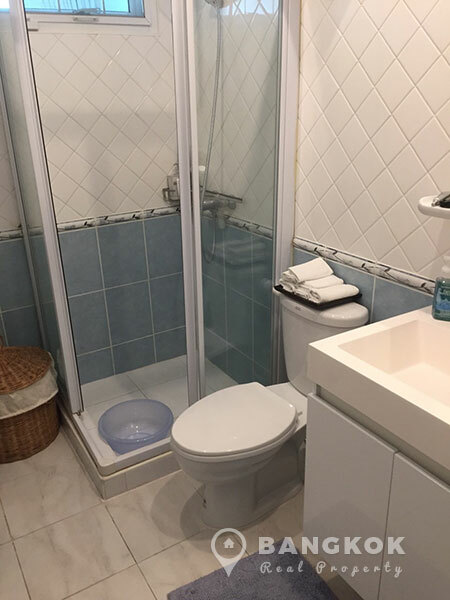 There is also a maids room and bathroom, with extra storage. 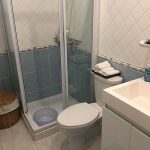 This level also has a guest bathroom. 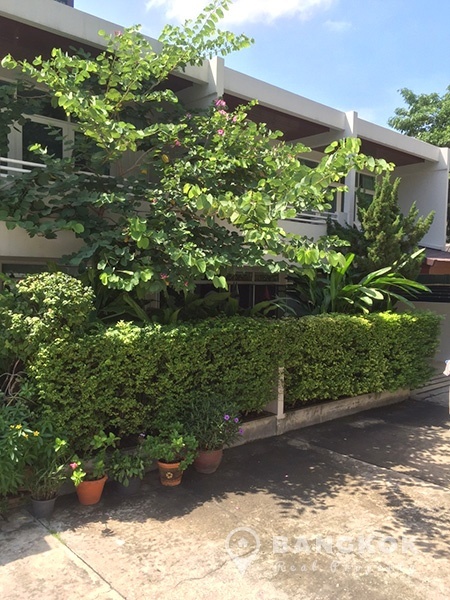 On the 2nd level are 3 bedrooms of which 2 are double bedrooms and 1 a single. 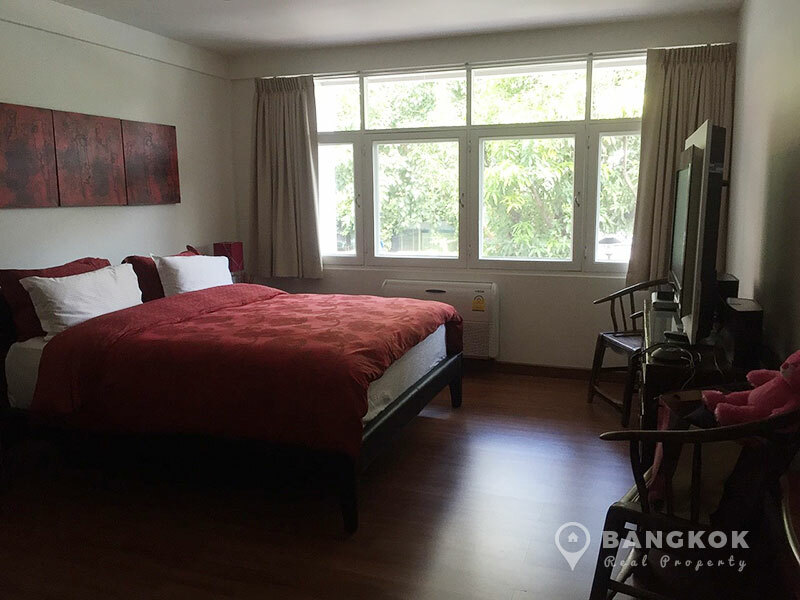 The master bedroom has an ensuite bathroom and the main bathroom has a bathtub. 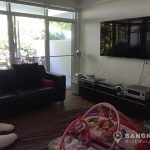 This house for rent in Ekamai has off street parking for 2 cars. 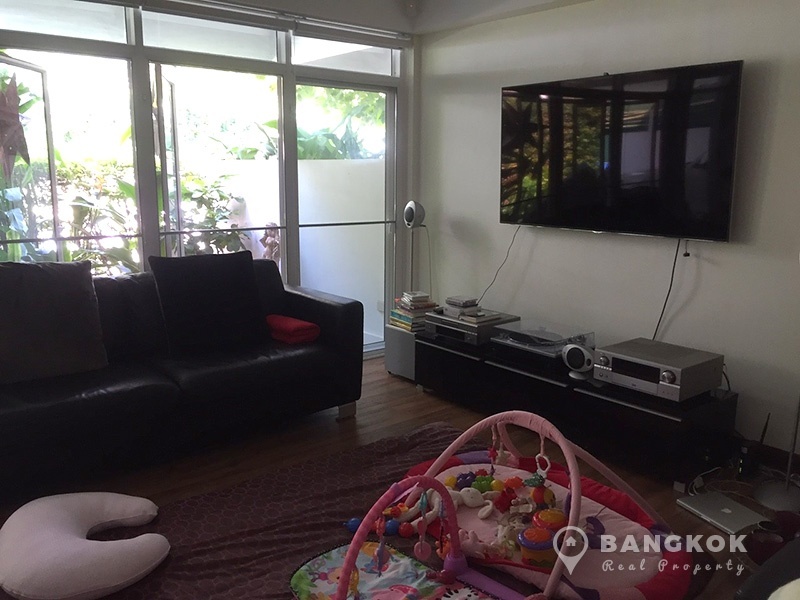 This is a contemporary, semi-detached, 2 storey house set in a compound with swimming pool within walking distance of Ekkamai BTS. 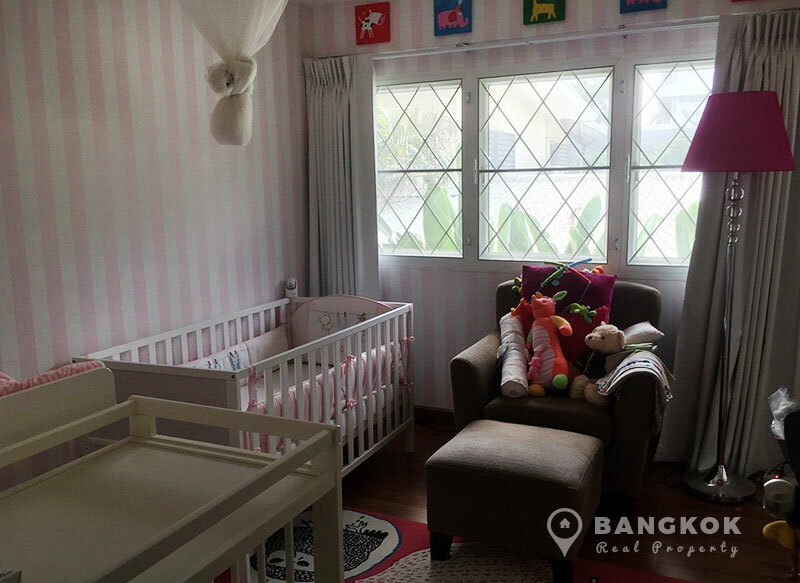 The house has living space of 230 sq.m with 3 bedrooms, 3 bathrooms, 1 maids room's, small garden and off street parking.